A rendition of John Lennon’s Imagine by a 10-year-old surprised the audience at Lakeside Elementary School. The video of his performance has gone viral on the internet. 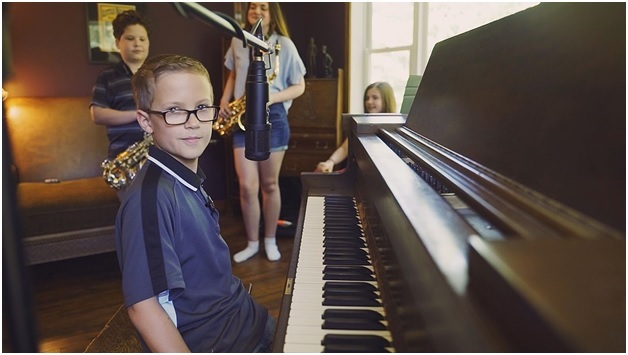 On 24, when Adam Kornowski reached the piano to perform his version of Imagine John Lennon who would have thought that the fourth-grader’s performance for a small group in Chisago City, Minnesota will become an internet sensation. Adam’s mom, Michelle Cavarnos Kornowski posted on Facebook that everyone had tears in their eyes and everyone praised the performance by giving a standing ovation with long-lasting applause. “A woman stopped me to tell me that she would buy it on iTunes if I put it out there!! I love his bow at the end…so polite!” posted by Adam’s mother, Michelle Cavarnos Kornowski on Facebook. If you haven’t seen the video yet, you can watch it below. World Of Dance is Back With A Bang!